"We invite all people of good will to help this project if possible. We recently met John during the events this past week in Washington DC and were impressed with his passion and commitment to this work. He is an American, former pilot who upon learning the story of Draza Mihailovic and Operation Halyard wanted to do more." "Позивамо све људе добре волље да се укључе у ову акцију. Ми смо имали прилику да упознамо овог човека током дешавања у Вашингтону ових дана. Он је Американац и бивши пилот који је сам покренуо овај пројекат када је се упознао са причом о Дражи и пилоте који спашени у Операцији Халјард." "The goal of the Halyard Mission Foundation is to educate, commemorate and increase awareness of the Halyard Mission, the rescue of over 500 US airmen during WWII, and the role the Serbs played in the success of the mission. goal of the Halyard Mission Foundation is to educate, commemorate and increase awareness of the Halyard Mission, the rescue of over 500 US airmen during WWII, and the role the Serbs played in the success of the mission." "Greetings from DC. I hope this note finds you well. "I thought you might be interested in what we are doing in preparation for the upcoming Halyard Mission Commemoration Ceremony in September. 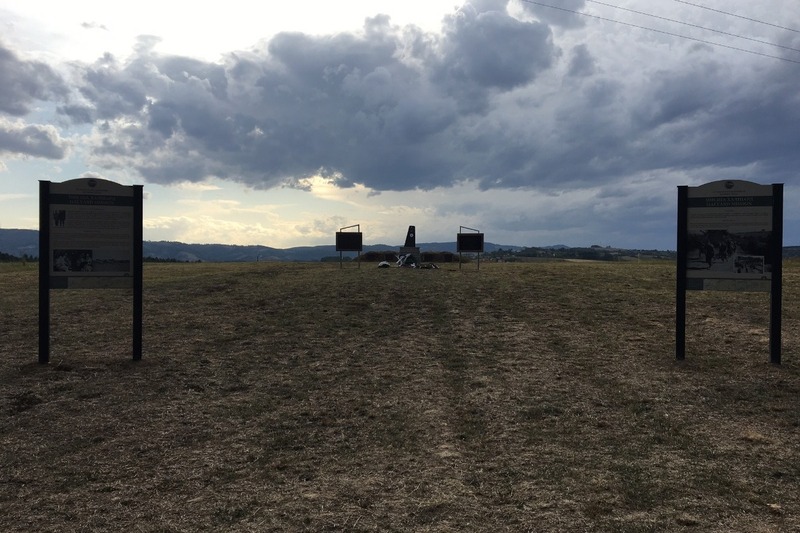 This year the ceremony will take place on Saturday, 22 September, on Galovica Field, just outside the village of Pranjani. "As you know, in addition to the commemoration ceremony we host each year, we commit to completing a project...a deliverable for the community. Two years ago we erected seven historic markers at historically significant sites related to the rescue mission. Last year we provided recognition certificates to the families that assisted the airmen during the rescue. The US Ambassador presented over 40 families with these certificates...it was a nice event. "We also commissioned an icon and dedicated it to the church in Pranjani. It is one of a kind...a beautiful work. "This year we are working with the students at the Ivo Andric School in Pranjani. We asked them to write an essay about the Halyard Mission. What their grandparents told them, what it means to their families, community, and what it means to them. We will provide a small education stipend to each student that participates, and plan to incorporate their essays into this year’s ceremony. We are in the process of raising 7000 dollars for this project. I started a GoFundMe page to assist in this effort." Lt. Col. John Cappello retired from the United States Air Force (USAF) in 2014 after serving over 24 years. He served as the USAF Attaché to Serbia and Israel. He is a Command Pilot having accumulated over 3,000 flying hours. 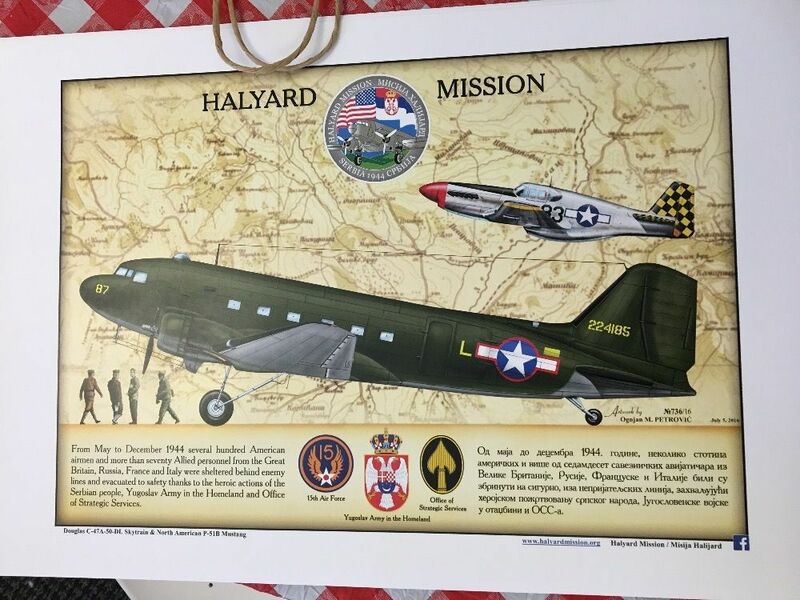 "The goal of the Halyard Mission Foundation is to educate, commemorate and increase awareness of the Halyard Mission, the rescue of over 500 US airmen during WWII, and the role the Serbs played in the success of the mission. "Each year the Foundation holds a commemoration ceremony on Galovica Field, outside the village of Pranjani, Serbia, the site where the rescue mission took place. "Additionally, each year, we seek to complete a project, a deliverable to the community. "We work closely with members of the Pranjani community to determine what projects we will support. "This year we decided to work more closely with the children of the Ivo Andric Middle School. We asked each of the graduating 8th grade students to write an essay about the Halyard Mission. What stories did they hear from their grandparents and great grandparents? What does the story mean to their family? What does the story mean to them? "We will award each of the participating students an education stipend during the ceremony on Saturday, 22 September 2018. The award ceremony will be held in the Ivo Andric School, where the US Ambassador to Serbia will award each child a certificate and monetary stipend. "The Halyard Mission Foundation is a non-profit 501 (c) (3) organization that relies on the generosity of those who support its mission. We have not raised a lot of money in the past, but plan to change that in the future. "However, for this project, the school educational stipends, we rely on your support. All the money will go to the monetary awards for the children, and the ceremony honoring their essays. "Thank you all in advance!!"